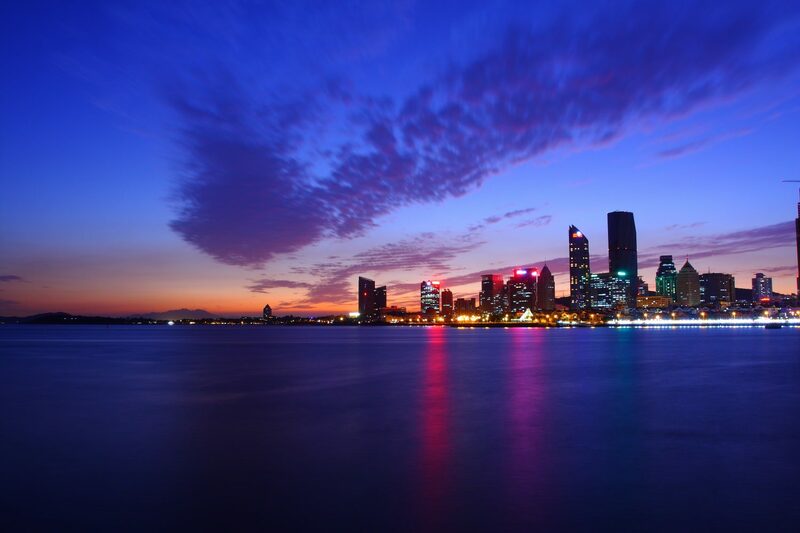 Fly to Qingdao, a beautiful seaside city on the southern coast of the Shandong Peninsula. Qingdao is a city of picturesque red-tiled roofs nestled between green hills and blue sea. Upon your arrival, our guide will pick you up and accompany you to Zhan Qiao Pier. This symbolic structure was built in 1892 during the 18th year of Guangxu’s reign during the Qing dynasty and was the first pier in Qingdao. It is now more than 26 feet (8 meters) wide and a quarter-mile (440 meters) long. Inside the semi-circular seawall in the southern end, there is a Chinese-style octagonal pavilion with double-layer leaves, named the Huilan Pavilion, which is one of the top ten scenes of Qingdao. Next, you will visit the Split Firewood Courtyard, a AAA-Rated Scenic Area. The courtyard was built by the Germans in 1902 and is named Jiangning Road. It got the current name because there were many rooms of split firewood inside. Among the 20-odd yards, there is recreational place like Jiangning Guild Hall at No. 10 Jiangning Road, stores, restaurants, bookstores and playing field. After the hotel breakfast, you will visit the No.1 Coastal Mountain in China, Mount Lao. Mount Lao is known for its long affiliation with Taoism and in its prime there were 9 great places, 8 great temples, and 72 abbeys, harboring over 1,000 Taoist priests, including great Taoists Qiu Changchun and Zhang Sanfeng. Mount Lao was home to the second largest Quanzhen Group of Taoism in history. Taiqing Temple (Supreme Purity Temple) is the oldest and largest palace among all those preserved. Taiqing Temple was built more than 2,000 years ago. The total land coverage is more than 7 acres (30,000 square meters), and the floor area of the buildings is 2,700 square feet (2,500 square meters). The famous Taoist Zhang Sanfeng used to practice here. In this tranquil place with clean air and water, exotic flowers and rare herbs grow all year long. The cypresses of the Han dynasty, elm of Tang dynasty, and ginkgo of the Song dynasty are still green and vibrant today. Today you will go to LS academy learning. Traditional lectures here include Confucianism, Buddhism, and Taoism. Then visit Ba Da Guan (The Eight Great Passes). It got its name from the eight streets named after great military forts of ancient times. The area speaks volumes for Qingdao’s charm. In the area over 300 houses have been built in a variety of western architectural styles, including those of Russia, Germany, the United Kingdom, France, America, Japan, Denmark, Spain, Greece, and 15 other countries. Thus Ba Da Guan is known as “the World Architecture Expo”. With the office building of the Municipal Government to the north, the symbolic 25-acre (10 hectares) square was named after the May Fourth Movement which was begun in Qingdao. 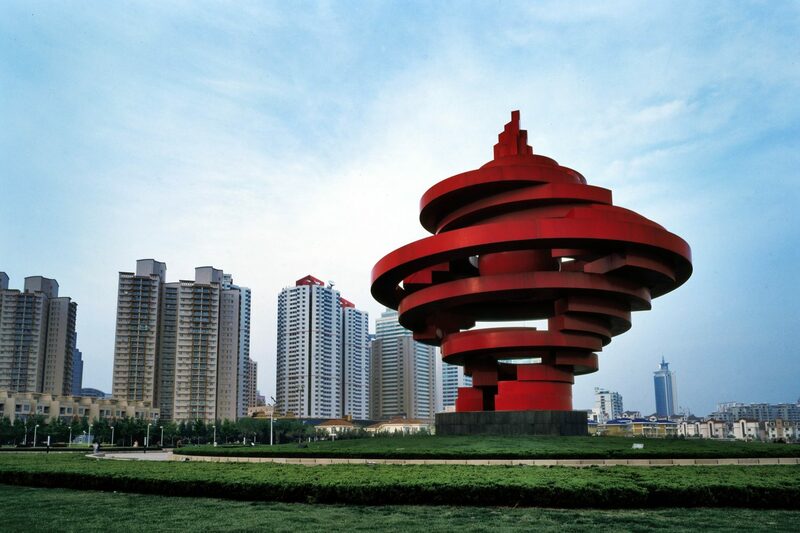 The square is best recognized by the large “May Wind” sculpture, the symbolic tourist site of Qingdao, which expresses the patriotism and national strength of the May Fourth Movement. Located at Fushan Bay, it covers an area of 45 hectares, including 74-acre (30 hectares) stadiums and a 1,752-foot (534 meters) breakwater. The sailing marina hosted the sailing games during the 29th Olympic Games and the 13th Paralympic Games. After breakfast visit Xiao Yu Shan (Little Fish Hill) Park. It got its name for being close to Yushan Road. It is almost 200 feet (60 meters) above sea level and covers an area of 6 acres (2.5 hectares). The main architecture Lanchao Pavilion is an 60-foot (18 meters) octagonal, three-floor building, echoing Huilan Pavilion from afar. Former Residence of Kang Youwei. Built in 1899, it is a three-floor German style building and was the place where the German Governor stayed upon arrival in Qingdao. Kang Youwei bought this house in 1923 and stayed here for some time every year until 1927 when he passed away. The exhibited articles include precious Chinese and foreign art works, and calligraphy works collected by Kang during his life. Former Residence of Lao She (Camel Xiangzi Museum). Lao She came to Qingdao and assumed the position of professor at the College of Liberal Arts in Shandong University in 1934. In 1936 he moved to the city and wrote such famous novels as Camel Xiangzi. At his home in Qingdao, there are over 40 versions of Camel Xiangzi. The residence opened the Camel Xiangzi Museum, the first special museum named after a modern literary classic, as a proposal of Shu Yi, the son of Lao She, in 2009. The Museum of the Former German Governor’s House in Qingdao. Built in 1907, this German castle-like building of royal European style was the residence of the German Governor in Qingdao and is hence named “Governor’s House”. In 1934 it was renamed “Guest House” and became a top-notch hotel in Qingdao. Chairman Mao stayed here in the summer of 1957. Experience of the local life by watching the fishermen fish or do it yourself. You can also taste the local food. Then drive to airport and your amazing tour ends.